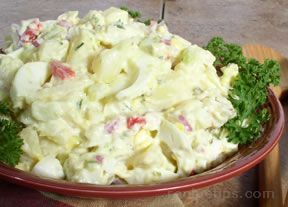 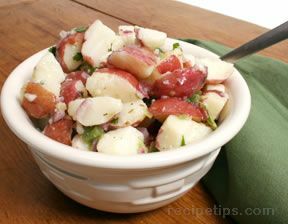 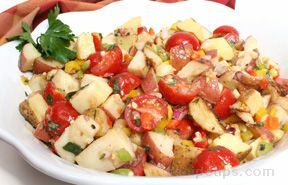 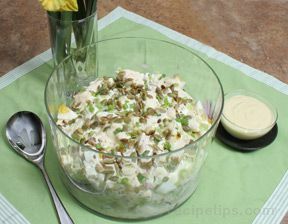 With just a few simple ingredients, this tasty summer potato salad is perfect for any summertime gatherings. 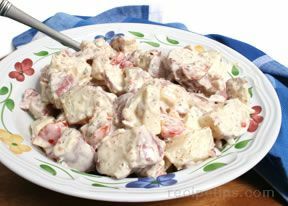 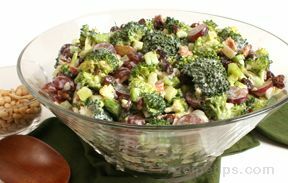 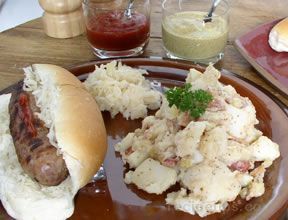 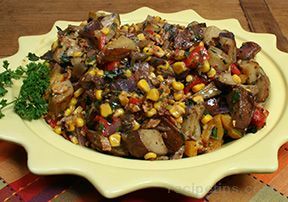 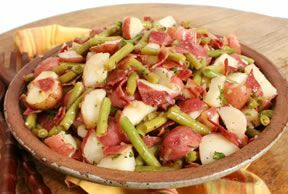 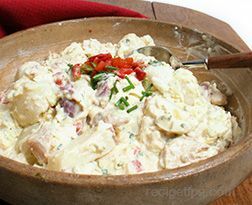 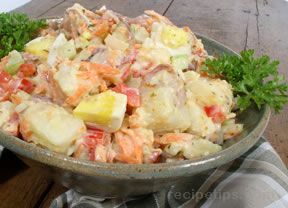 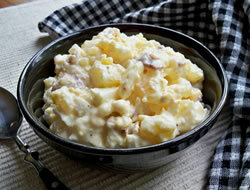 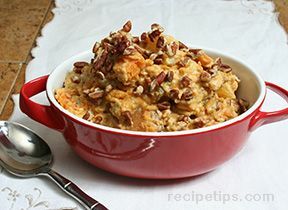 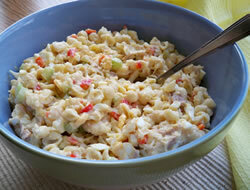 The red potatoes used in this recipe hold their shape when boiled, making them a great potato to use for potato salad. 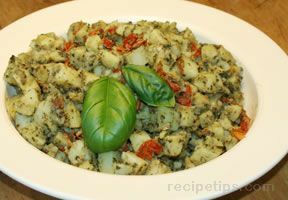 Search for more potato recipes. 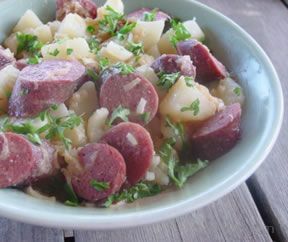 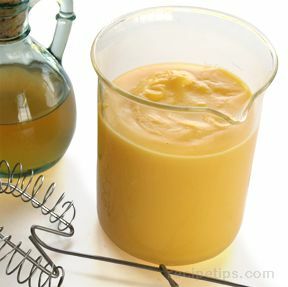 Cut potatoes in half, boil in medium pot until tender, approximately 15 minutes. 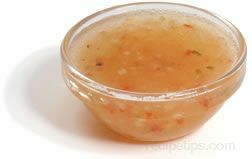 Drain and run under cold water. 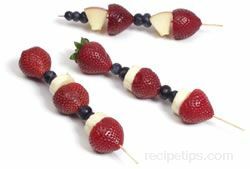 When cool, cut into quarters and set aside. 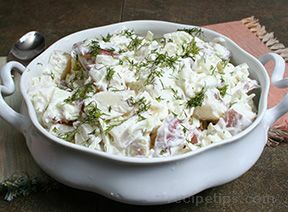 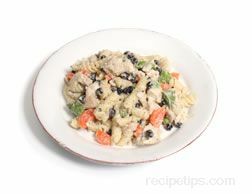 In large bowl, mix together sour cream, lemon juice and salt and pepper. 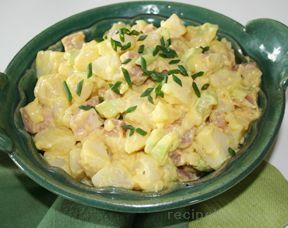 Stir potatoes into the mixture and add leek, mix well. 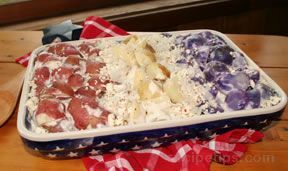 Let chill in refrigerator for 15 minutes before serving.